The Otago Scarf is wide and warm, measuring about 1 metre (39") in length. It is surrounded by fur front and back – perfect for placing under an overcoat. 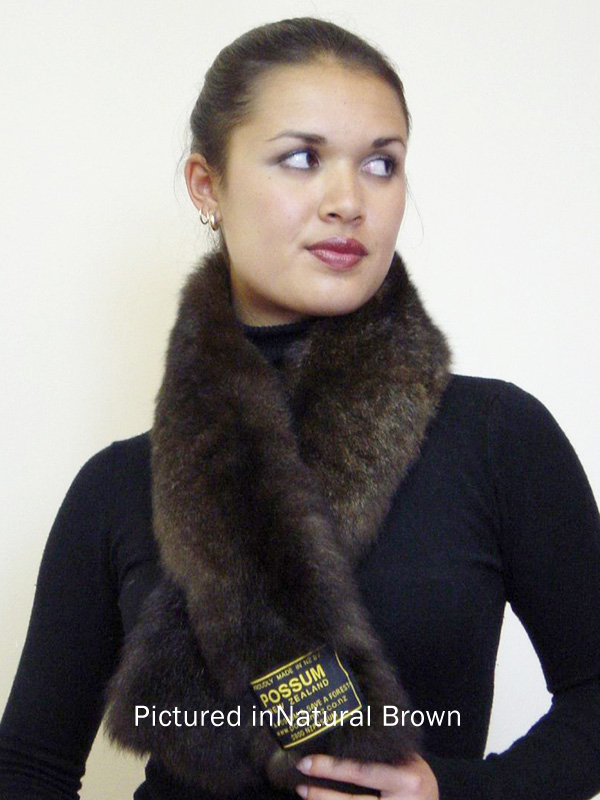 The sporty Otago Scarf sells mostly to men but looks great on women as well. It will keep you warm on those chilly evenings at the big game. It comes in a range of natural and colour variations.